Who needs to change for you to be OK? What do you do if they won’t change? Have you ever thought to yourself, if only my partner, my child, my parents or my boss would just change than I would be OK? Lots of people who come to counseling start by wishing that other people would somehow change and that would make them happy. The problem with this is that most of the time those other people just refuse to change. If you’ve reached this point, where you concluded that the only way for you to be happy is for someone else to change you have a limited number of options. The longer you wait for someone else to change without taking action the less likely it is that any change will ever happen. If you ever said that your happiness depends on someone else changing here are some of the options. You could try changing them. Insisting that others change is not likely to happen. For people to be willing to change they need to have an incentive. Humans are creatures of habit. Even when people try to change they tend to revert back to their old way of being unless they practice that change repeatedly. There are two possible ways to get someone else to change. One is to have that discussion with them, get them to see that they need to change and have them agree to participate in this change effort. Most of the time people who decide on this option come back to see me later and tell me it didn’t work. The other person has refused to change. The longer they continue to insist the other person change the longer they stay miserable. The other option is to try to shape this other person’s behavior by changing your response to their behavior. This procedure can work well with children by using reward and punishment to encourage them to modify their behavior. For more on that process of changing others by behavioral modification look at the series of posts on counselorssoapbox.com on this topic. 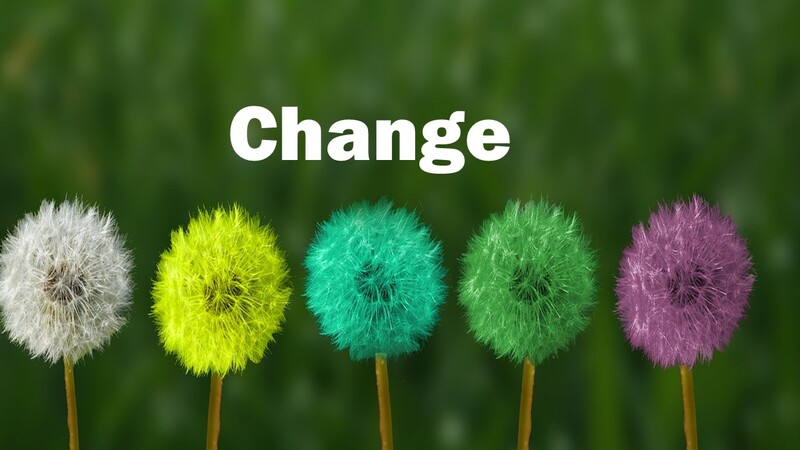 If you’ve tried repeatedly to get someone else to change and had no success you may want to consider one of the options below. Changing you – personal responsibility. Interactions between people are sometimes like a square dance. You move in a certain direction everyone else moves in that same direction. If one person in the square turns and walks the other way the square falls apart. This kind of repeating pattern, like a square dance, often occurs in families. To create change in this kind of situation, you need to change your behavior first. Rather than continuing to insist that someone else needs to change you need to be the person to create the change you want to see. If there something you don’t like and you can’t get the other person to change, you may need to go about making the changes that are needed yourself. Letting go of your insistence they change. One way to reduce this long period of suffering, while you wait for the other person to change, is to let go of the insistence that they change. Say your boss is the kind of person who thinks that the only way to motivate employees was to constantly point out their faults. In this situation you can continue to argue with them, you can stay unhappy and insist that they need to change for you to be happy, or and this is not easy to do, you can learn to simply accept that this is the way they are and not let them get to you. In relationships, this is often the path that people take. After years of insisting that your partner be neater, you may simply decide to accept they are not neat and let them be the way they are. Sometimes change comes by ending things. Say you’re were married to a person with an alcohol problem, you’ve insisted for years that they change, but nothing happens. You may start trying to change your life without them. Eventually, you may decide that it’s not worth staying together with the person whose primary relationship is with Ethyl alcohol. Have you had enough of trying to get someone else to change? If you’ve reached the point where you’re willing to let go of insisting they change so you can be happy, you will need to consider the other alternatives. Thinking about trying to get them to change by altering your behavior. Try learning to accept them the way they are and be happy anyway. Eventually, you may decide you need to take the responsibility for your happiness and make the changes that need to be made. Are you ready to stop insisting someone else needs to change for you to be happy? This entry was posted in Self help skills and tagged change, dating someone to change, others make you unhappy, people who make you unhappy, people who need to change, personal responsibility, recovery and resilience, who needs to change for you to be happy by David Joel Miller. Bookmark the permalink.